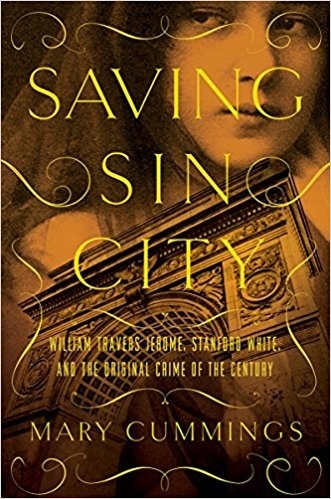 So many crimes over the years are called “The Crime of the Century.” Famous architect Stanford White is murdered by Henry K Thaw in 19o6. This means the crime quickly lost its status to the Lindbergh Baby Kidnapping. The facts of the case are fairly straightforward: A noted beauty of the era was a young woman named Evelyn Nesbit. Evelyn made her living posing for artists. She may have been one of the earliest women to appear in printed advertisements, singing the praises of toothpaste, face creams, and other commercial goods. She was also one of Charles Dana Gibson’s famous Gibson Girls. Beauty attracts admirers, and one of Evelyn’s was architect Stanford White. White was forty-seven and Evelyn only sixteen when they became “acquainted.” In his apartment on West 24th Street, White had a gorgeous room of mirrors and curious objects. And he invited Evelyn and her friend Edna Goodrich to visit him. He was really after Evelyn alone and installed a “red velvet swing” which she loved to use. It seems he plied the girl with drugged champagne and raped her. He claimed he was introducing her to a world where “everybody does it,” anxious to keep her quiet about his actions. On June 25, 1906, at a show in White designed Madison Square Garden, Thaw brutally gunned White down. He made no more to hide anything, he rather exulted over the murder telling the packed house White deserved it for what he had done to Evelyn. In the “Trial of the Century,” Thaw was eventually found not guilty by reason of insanity and confined to the Matteawan State Hospital for the Criminally Insane in Beacon, New York. As usual, money talked and Thaw lead a privileged life in the hospital. He fought to be declared sane and succeeded after seven years and was released. He fled to Canada and was returned via extradition. It was over, however; and he walked free.